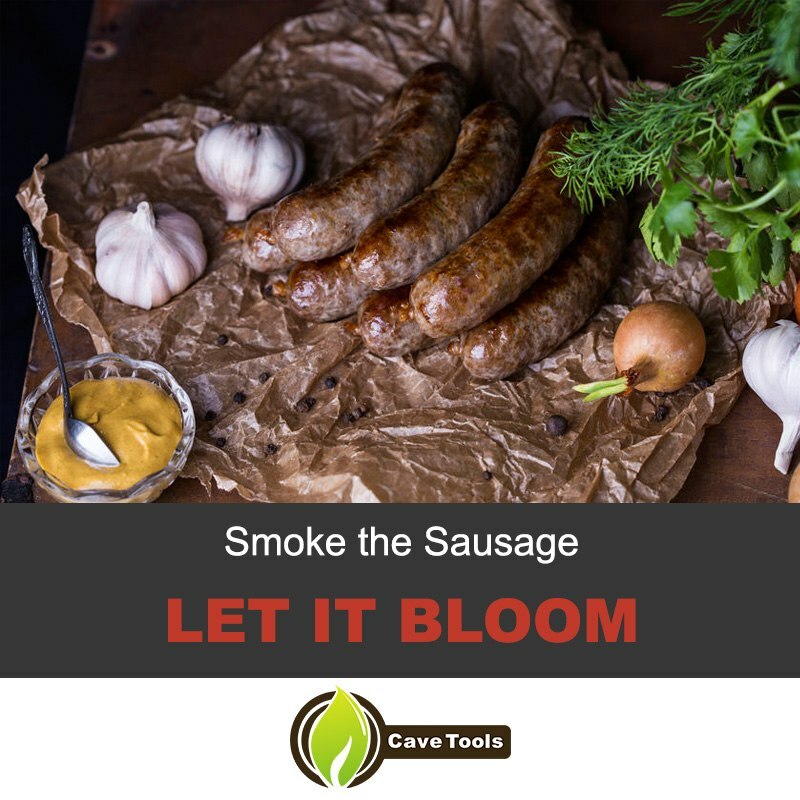 Venison summer sausage can be made in a variety of ways, but the one thing that remains constant is how delicious it tastes when smoked correctly. My family waits all year to have that first bite of melt-in-your-mouth goodness that can only be found in tender venison sausage. Traditionally, summer sausage is cured with salt, sugar, mustard, black pepper, and garlic. This is still mostly accurate when it comes to venison summer sausage. But as I mentioned before, there are a variety of ways to make deer sausage. You can use hickory, applewood, or just about any other variation of wood chips you can think of to impart a nice, multi-layered flavor profile to the meat. Additionally, there are several flavor variations to consider. You can add diced jalapeno, a touch of beer, or even ground bacon for an added kick. 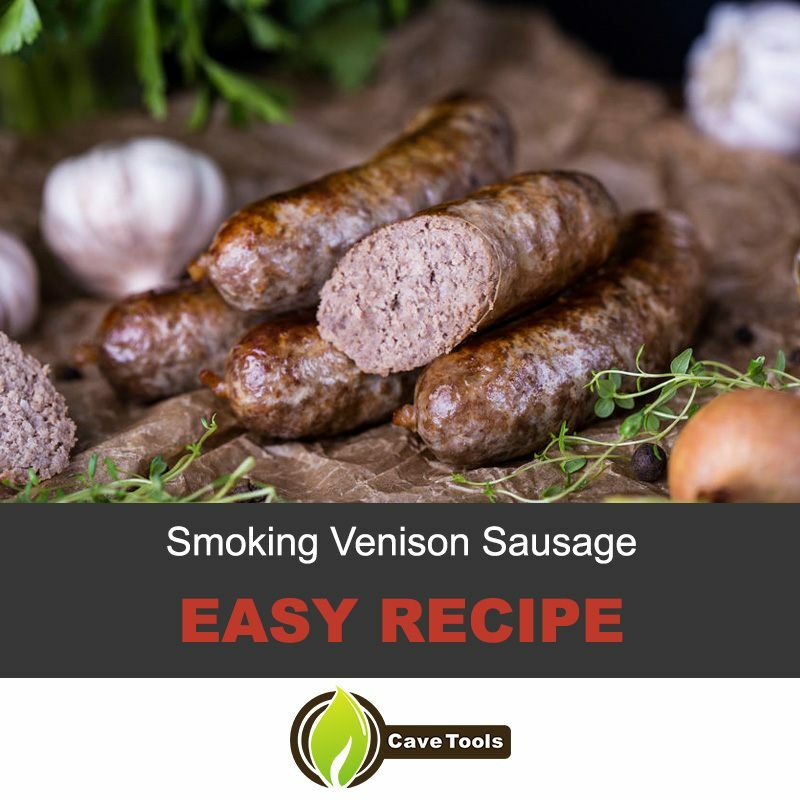 If you like a dry, crumbly type of sausage then you should consider using only venison as the base. Otherwise you will need to combine the venison with some pork trimmings in order to get that delicious, juicy bite that everyone will love. The only downside to prepping this is the amount of time it takes from start to finish. Summer sausage must be cured or fermented for several days to preserve it (especially if it is fresh venison you didn’t purchase from a butcher). We’ll talk more about this below, but it is vital to follow these steps in order to safely make venison summer sausage. Sausage making is an art, so let's get into it. Pro-tip: A sausage stuffer will make the process easier, but you don’t need to have one. You will just have to take some time to stuff the casings by hand. Pro-tip: Add the optional additions for a spicy summer sausage. Cut down on the spices for a milder version. Cut your venison into 1” cubes and freeze for 40 minutes to firm it up first (this makes it easier to handle). Once cold, combine it with the pork trimmings and then grind them together very coarsely (use the coarse plate). Since the meat isn’t cured yet, it’s very important to make sure it stays cold through all of the initial processes. Add all of the ingredients above to the ground venison. Mix by hand or with the meat mixer. Do this until the ingredients are mostly incorporated into the meat. The meat needs to be grinded together again to really combine the flavors. For a drier summer sausage, use the coarse plate once again. If you want a juicier sausage, use a finer grind plate this time. 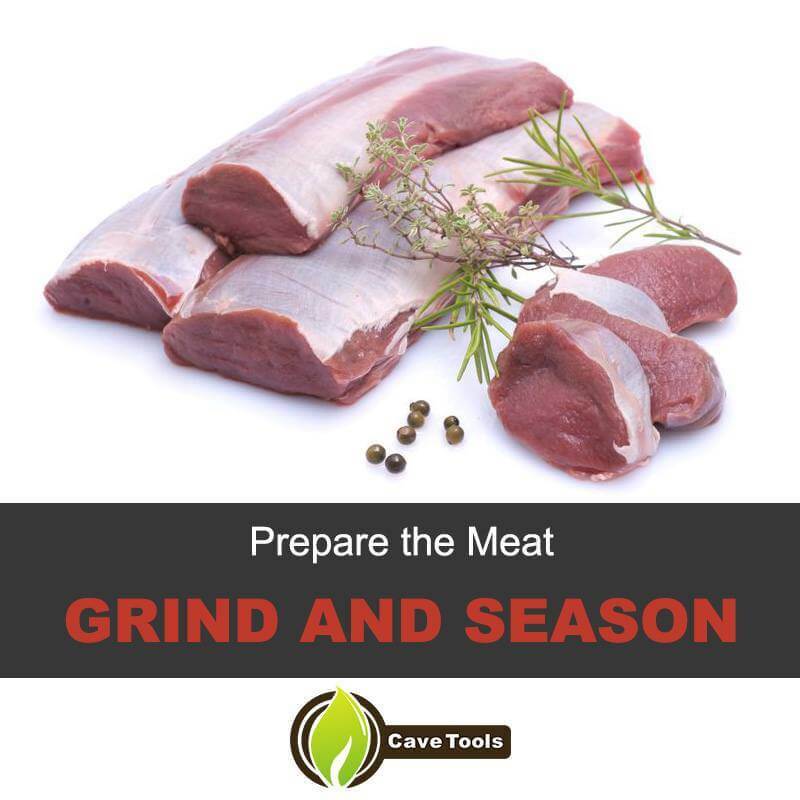 Keeping the meat cold, stuff into synthetic or fibrous casings that are 2-3 inches in diameter. Don’t skimp on this part! The stuffed casings should feel tight, but not ready to bust. Under-filled casings will not turn out correctly. Store stuffed casings in the refrigerator for up to three days (but at least overnight). The sharp “tang” of the summer sausage will increase the longer it is refrigerated. Personally, I let mine sit for 2.5 days to achieve a nice flavor profile. This fermentation period allows the buttermilk and sugar to metabolize, giving the meat its characteristically sharp flavor. Don’t let the temperature get below freezing (~34 degrees f) or the fermentation will not take place. Preheat the smoker to 120°F. Hang or lay fermented sausage on smoker racks, making sure they do not touch. Allow to dry for one hour with damper wide open at this temperature. Add wood chips to the wood pan, close damper ¾ of the way, and increase the smoker temperature to 150°F for four hours. Add water to the pan and increase temperature to no more than 170°F for the rest of the cooking process. Continue to add woodchips as necessary to generate smoke for three to ten hours more hours. The length of time you leave it smoking will determine the “smokiness” of the final product. I recommend 4-5 hours (but again, you may choose to go longer depending on your tastes). Sausage is finished when internal temperature reaches 155°F. Overcooked sausage will taste very dry and crumbly. After reaching 155 degrees, dunk the sausage into ice cold water to stop the cooking process. Once the internal temperature drops to 100°F, you can move on to the next step. Dry the outside of the sausage with a towel and then allow to air dry at room temperature. I prefer letting them hang to make sure the blooming is uniform throughout. The sausage will reach optimum color after a few hours. Eat immediately, or wrap in aluminum foil and butcher paper so it will stay fresh in the freezer for up to three months. 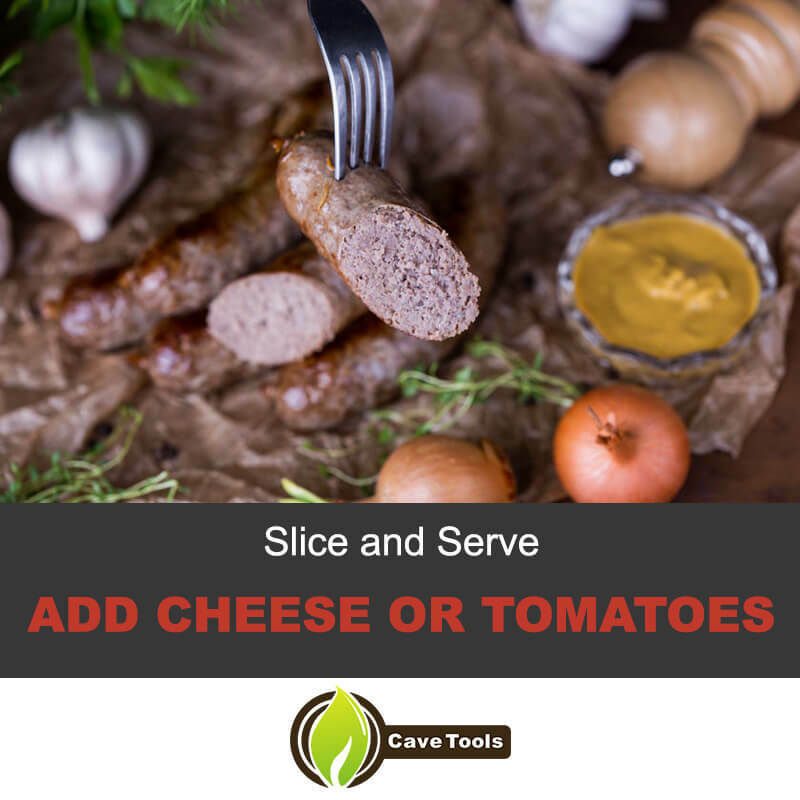 I usually serve my venison summer sausage sliced up and surrounded by a variety of cheeses. Cheddar and other sharp, tangy cheeses add a whole other layer of deliciousness to the smokiness of the venison. You can also choose to cut up some salami, grapes, and small tomatoes for an awesome charcuterie board that will amaze even your closest friends. If you like sausage, I also have a video for you so are prepared next time you have your friends over! Sausage Sandwich Recipe: Tips and Tricks to Make the Best Sausage Sandwich Ever! How do you serve venison summer sausage? What is your favorite summer sausage add-in? Did you enjoy this recipe? Comment and share to let us know! Summer sausage is a mixture of meats, such as pork, beef, or venison. It is cured, dried, and smoked, preserving the meat so it does not need to be refrigerated. Common seasonings include black pepper, garlic, and mustard. Venison is a term used to describe the meat of antelope or deer. The most common types of venison are whitetail deer, reindeer, or red deer. Venison has a “wild” flavor that is sometimes referred to as a “gamey” flavor. This flavor is more noticeable in the fat of the animal than the meat itself. This flavor comes from the food that the animal eats. How Long Do You Smoke Summer Sausage? You don't want to overcook summer sausage, which can cause it to become dry and crumbly. You want to cook the sausage until it reaches an internal temperature of 155 degrees. This usually takes about 4 hours. How Long Is It Safe to Keep Summer Sausage in the Fridge? According to the USDA, it is safe to keep unopened summer sausage in the refrigerator for 3 months. Once it is opened, it should be consumed or discarded within 3 weeks.